There are no comments for Zeros On The Prowl. Click here to post the first comment. 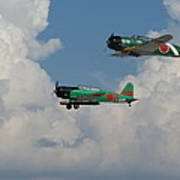 This is a photo I took at the, 2012 Oshkosh Air Show, in Oshkosh, WI. 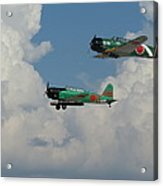 These two "Zeros" were part of the Tora, Tora, Tora / Bombing of Pearl Harbor reenactment. 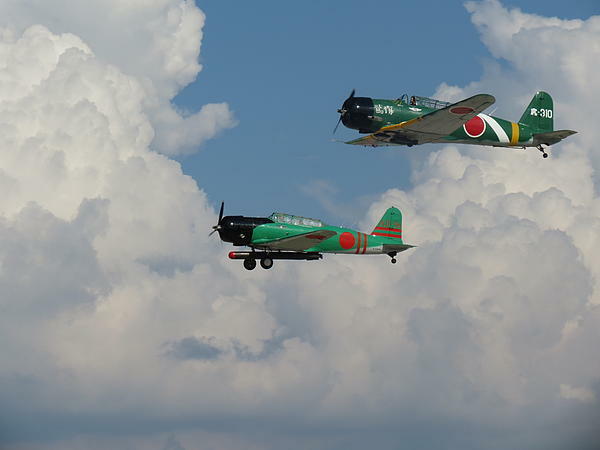 The reenactment, "Zeros," were modified North American Harvard's, SNJ's, AT-6's, and Vultee BT-13's. What a beautiful shot! 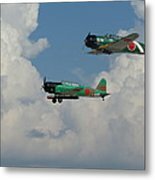 The clouds and lighting were perfect for air show photography that day.